Steve Merril is considered one of the best sports analysts in the nation. He credits his success to employing a variety of different handicapping techniques such as statistical analysis, trends and systems, and fundamentals such as matchups and emotion. 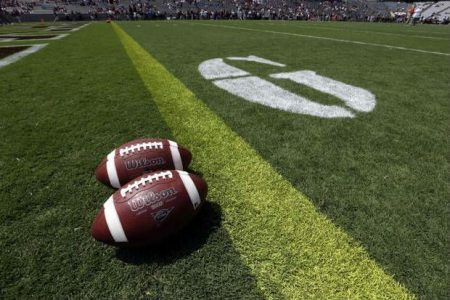 Here's Steve's NCAA Bowl Report Monday December 26, 2016. This is the St. Petersburg Bowl being played at Tropicana Field in St. Petersburg, Florida. My power ratings make Mississippi State a -16 point favorite, but there is no way I’d lay two touchdowns in a minor bowl game with a team that went just 5-7 SU during the regular season. Miami Ohio’s offense underachieved this year as they only averaged 23.4 points per game on 5.6 yards per play versus defenses that allowed 27.7 points per game on 5.7 yards per play. However, Miami’s defense was decent while holding opponents to just 24.3 points per game on 5.2 yards per play (versus opponents that averaged 25.9 ppg and 5.6 yppl). Mississippi State’s offense played above average despite their losing record. The Bulldogs averaged 31.5 points per game on 6.1 yards per play versus defenses that allowed 27.1 points per game on 5.8 yards per play. Mississippi State played bad defense as they gave up 33.1 points per game on 6.2 yards per play (versus opponents that averaged 30.8 ppg and 6.0 yppl). This game is a strong Best Bet available here at Steve Merril’s handicapping page. This is the Independence Bowl being played in Shreveport, Louisiana. My power ratings only make NC State a -3.5 point favorite, so there is some value on Vanderbilt now that the line has moved 2.5 points higher from the opening number. Vanderbilt’s offense struggled for most of the season. The Commodores scored 17 points or less in seven games. Overall, Vanderbilt only averaged 23.5 points per game on 5.3 yards per play versus defenses that allowed 27.4 points per game on 5.8 yards per play. However, Vanderbilt did play well in their final two games, scoring 83 points in two outright underdog wins versus Mississippi and Tennessee. The Commodore’s defense was solid this year, allowing just 22.6 points per game on 5.9 yards per play (versus opponents that averaged 30.0 ppg and 6.3 yppl). NC State played a brutal schedule, and they had to face Clemson, Louisville, and Florida State over a 4-week span. If we eliminate those games, the Wolfpack would have much better offensive numbers on the season. Overall, NC State still averaged 25.8 points per game on 5.8 yards per play against defenses that only gave up 5.5 yards per play. The Wolfpack’s defense was strong this year, allowing only 23.2 points per game on 5.3 yards per play (versus opponents that averaged 29.9 ppg and 5.9 yppl). The pointspread value is on Vanderbilt, but NC State may be a bit better than their overall numbers indicate.